The head of the 37-year-old Marie Antoinette, queen of France, was parted from her shoulders 213 years ago in the Place de la Concorde. The executioner held it up by its thinned and whitened hair for the amusement of the rabble. Earlier that day, she had been forced to change into a white shift in front of the gendarmerie — lest her black prison dress be construed as mourning. She had been hemorrhaging heavily for days, and as she changed, she tried to hide her blood-stained chemise from the guards’ eyes. Marie Antoinette went, historians tell us, eagerly to her death. Life was no longer of any great importance. She showed no sign of fear, no hesitation as she bounded up the stairs to the guillotine with hands tied behind her. Her dignity was incomprehensible to the tabloids of the time. “The whore,” wrote Jacques Hébert, editor of Le Père Duchesne, “was bold and impudent to the very end.” Only one of her children survived the French Revolution, and that daughter had no children. The blood that washed over the scaffold would never run in the veins of descendants. Her physical life ended in high drama. The brouhaha began after death. Was she sinner or more sinned against? Too much gambling and frocks, or a neglected wife drowning sorrows in retail therapy? With execution came a new industry. Virtually every friend of hers who survived the French Revolution wrote a book of memoirs, as did her chambermaid, the first, second and third under-maids, the prison warden in charge of the late queen, the governesses of her children, and even her executioner. Only Mops, her dog, stayed out of print. In the past couple of months, we’ve seen a new PBS two-hour documentary on her life, the publication of Caroline Weber’s book Queen of Fashion on her wardrobe, Moi & Marie Antoinette, a children’s book by Lynn Cullen, and now a feature film. This time Kirsten Dunst romps around as the exuberant queen in Sofia Coppola’s take, based on Antonia Fraser’s authoritative biography Marie Antoinette: The Journey. The definitive Marie Antoinette film begs a new Luchino Visconti. Her life took place at a punctuation mark in history. Indeed, she was the punctuation mark, though she never realized it. An entire world order came to an end on her watch. She was born an Austrian archduchess, daughter of the emperor of the Holy Roman Empire and his formidable wife, Maria Theresa. At 15, she was sent to marry the dauphin of France, a boy she had never seen, in order to cement relations between Austria and France. Her life began with the absolutism of the Hapsburg empire, where all power lay with her parents, and ended in the bloodthirsty, savage streets of the French Revolution, where all power lay in the hands of “the people.” There would be restorations and interregnums, but the world of Continental aristocracy would never be the same after her execution. Saint or sinner, Marie Antoinette’s astonishing extravagance deserves some context, and Joan DeJean’s book The Essence of Style gives it. Marie Antoinette’s great-great-great grandfather-in-law, the “Sun King” Louis XIV, created Paris and Versailles as style centres to outshine London and Venice. Under his reign, the guild of female seamstresses was officially recognized and a new word, “couturière,” was created. Paris got its first designers(Madame Villeneuve on Place de Victoire, Madame Rémond and Madame Prévot on the rue des Petit Champs)and first celebrity hairdressers for women: previously there had only been barbers for men and their wigs. The Sun King encouraged the boutique culture of luxury goods that was to entrance Marie Antoinette(and the rest of us), and promoted the French textile houses by such measures as outlawing silks from the Far East. 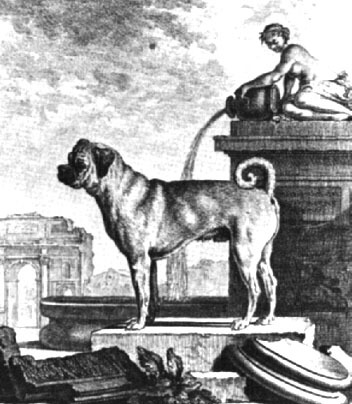 By the time of Marie Antoinette, Jacques Necker, one of the last finance ministers before the Revolution, could say with sincerity, “for the French, taste is the most fruitful of businesses.” Into this honey pot came the Austrian Marie Antoinette, whose prime need was to appear more French than the French. In modern usage, the name Marie Antoinette has become the negative sobriquet of the female consumer gone mad — the owner of lewd amounts of jewels or gowns — or the woman too big for her many shoes. The storming of the presidential palace in Manila was bound to be described as having “a Marie Antoinette moment” when Imelda Marcos’s vast shoe collection was discovered. Leona Helmsley became the Queen of Mean(a play on the Queen of Excess, as Marie Antoinette is often called)when she told her housekeeper “only little people pay taxes.” Detractors of Eva “Evita” Perón called her a power-hungry Marie Antoinette after she reached for the peroxide bottle — and the Christian Dior couture. The accusation of someone being a “Marie Antoinette” is a shortcut, as exaggerated as her pouf. We direct the epithet at any high-handed woman, especially one who has climbed the greasy pole through her association with men, rather than by birth or her own accomplishment. Cherie Blair is a Marie Antoinette when she indulges in too many hairdressing bills or buys expensive homes for her children. Mila Mulroney, née Pivnicki, was either Imelda 11 or Marie Antoinette when she shopped too enthusiastically for the press corps’ liking. New York socialite Susan Gutfreund was endlessly pummelled as a Marie Antoinette, not only because of the lavish gifts she gave friends, but probably because she was, after all, “just” a flight attendant for Pan Am from Chicago and not born in the little English cottage she occasionally mentioned. Leona Helmsley was a high school dropout claiming to have attended Hunter College. Some women can just about get away with conspicuous consumption if they are sufficiently liked. When Jacqueline Kennedy incurred astronomical couture bills beyond John F. Kennedy’s means, no one screamed Marie Antoinette, though the name was invoked when she became Mrs. Onassis — the short swarthy Greek husband being less attractive than the tall handsome American one. Diana, Princess of Wales couldn’t have been more of a clothes horse in her beautiful outfits by Catherine Walker and Bruce Oldfield, but she was adored, and successfully spun the notion that she was doing it for British fashion — an echo of the argument that Marie Antoinette’s vast dress orders were to help the French textile industry. Men get a pass on all this. There is no comparable fury directed at males who go off the rails buying wardrobes of Savile Row suits, Gucci shoes or indeed shelf upon shelf of those $2,500 shahtooshes(now illegal)made from the hair of some antelope living on top of a Tibetan mountain. This is not gender bias, only recognition that men usually earn, cobble together or steal the money they spend. Women very often don’t. They spend the money that some man cobbles or steals for them. How did Marie Antoinette stack up next to Princess Di or Jacqueline Kennedy? The closer one looks at the fated queen, the more ordinary she seems. She had no special intelligence, wit or even beauty — as they both did — though her skin was said to have an exquisite opalescence. In fact, she had no special virtues or vices. She was accurately summed up in the subtitle of Stefan Zweig’s biography Marie Antoinette: Portrait of an Average Woman. But when a person of ordinary qualities gets thrown into an extraordinary moment in history, then both their virtues and vices may be magnified. An average person is defined by the milieu into which they are born. The very quality that makes them average is that they are no more or less than the total product of their time and place. Marie Antoinette simply believed she was, well, Marie Antoinette, daughter of the great Maria Theresa and wife of the French king. She was entitled to what she wanted. That’s the way the 18th century worked for a queen. Her actions would have been excessive or greedy only if she had had no sense of entitlement and believed herself to be getting away with something — like the secretary who steals a million dollars from her boss and spends it on Cartier watches and holiday homes. Jean Cocteau said of Victor Hugo’s pretensions and mythmaking that he was “the madman who thought he was Victor Hugo” — Marie Antoinette was the spender who believed she was Marie Antoinette. Being a rather ordinary person, she was not likely to turn to some great intellectual or artistic endeavour. She did the best at what she was supposed to do, being the leader of French style. Three hundred frocks got her through a year. From the vantage point of today, it sounds mad to suggest that the woman who spent hundreds of millions on the interiors and gardens of the Petit Trianon, in part to create an appearance of rustic simplicity, is either average or normal. Or that the queen, dressed in her version of simple rural clothes(the loose “lévites” ordered by the dozens from her couturier Rose Bertin in Paris)and acting the role of shepherdess in the opulent little theatre she built, was doing nothing extraordinary. Life wasn’t all artichokes and lace. Marie Antoinette had to persevere with a fumbling, impotent husband for the first seven years of her marriage, while she prayed that her failure to produce an heir to the throne would not result in the dissolution of her marriage. As if sexual drought wasn’t bad enough for a young woman, she also had to cope with prying courtiers reporting her menstrual cycle, the nocturnal emissions or lack of them from her husband, and the condition of last night’s bed linen to every court in Europe. Each royal house had some self-interest in the marriage bed of the French royals. She weathered the scrutiny with perfect serenity. Etiquette did not permit her to put on her own dress. Famously, she stood naked and shivering in her bedroom, waiting for her dress to be placed on her body by the highest-ranking woman in the room. Moments later, the bedroom door would open to admit yet another more senior princess of the blood to whom her dress had to be relinquished. She responded to the farcical pantomime with only a side comment, managing to keep her rebellious dislike of French ceremonial sanctity under control. But there was nothing in her training for revolution. Maria Theresa had given her daughter no lectures on decorum in the face of butchery. There had been no rehearsal for seeing the head of her friend paraded around on a pike, no etiquette lessons on how to deal with mobs baying for her to be torn limb from limb, or the newspaper editor who called for her to be dragged through the streets at the tail of a galloping horse. After the execution of her husband, she fought to save her children, only to have them all taken from her and then, to see, nightmarishly, her brainwashed eight-year-old son publicly and enthusiastically testify that she had indulged in unnatural sexual practices with him. Her Austrian royal relations abandoned her. Yet she never flinched during her last four years of hell. Ordinary people who rise to testing times with great courage are not unknown but they are rare, as much literature of war and occupation shows. On a more prosaic level, many women in the public eye find themselves suddenly mired in humiliating and difficult situations and make something admirable out of their pain. Katharine Graham was facing abandonment by the disturbed husband she loved when he committed suicide. She overcame her own inexperience to run the newspaper empire(Newsweek, the Washington Post and several TV stations)with tremendous success. Jacqueline Kennedy endured the assassination of her husband and the media vilification of her marriage to Ari Onassis to become an accomplished book editor and devoted mother, brave in her own premature death. Hillary Clinton was never a slacker, always ambitious, but it takes quite something to turn your husband’s public betrayal into the platform to launch your own spectacular political career. Diane von Furstenberg rose like a comet and lived on glossy magazine covers as one half of a Marie Antoinette socialite couple, spoiled for parties and fun. When her marriage failed, she turned all those late nights and wardrobe experiences into a successful business empire based on the innovative wrap dress. This sort of getting-over-it and on-with-it attitude to life is as related to the Marie Antoinette syndrome as the frocks — and far more difficult to accomplish — but rarely given the credit due. In the end, the one fatal thing all so-called Marie Antoinettes share with the real one is blindness to the dangers of any social generosity they may display. 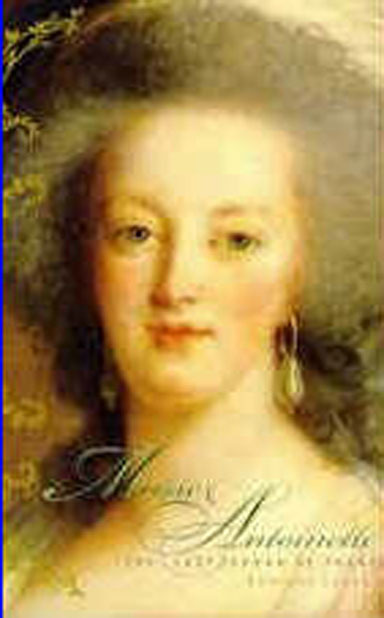 When Marie Antoinette invited friends beneath her royal station to Petit Trianon, she never thought that for every one invited, she was making at least a dozen enemies of, as Fraser puts it, “those left out.” Even the friends she invited might have felt they were not well enough served by one invitation. Whether it is the 18th century or the 21st, the same pitfalls await anyone who achieves any sort of social prominence. Happily, today there is no guillotine for this deadly error. Only the libellistes and tabloids that stirred up the mobs remain. These days their motive is not even patriotic hate but rather the most basic motive of all — to sell their souls and other people’s lives for seconds of attention and a few pennies. In her lifetime, Marie Antoinette never understood the power of these crude pamphleteers. As the blade dropped, she was more likely thinking of her Creator than the yellow press, a far better choice of subject for the next world, but an unwise omission in the one she left. Wow, i love your article. Great! “She had no special intelligence, wit or even beauty” – This is certainly not true. She spoke German, French, and a little Italian and English. (Louis XVI was fluent in English–and I believe Marie wrote in broken English to a duchess in England whom she befriended). Also, it is well known that Marie-Antoinette was an accomplished musician. She sang, played several instruments such as harp, harpsichord, clavichord, and flute. She also composed a piece called “C’est mon ami”. I am not sure she played the flute, but she did play the other instruments, her favourite was said to be her harp. She also strongly advocated for inoculation against smallpox (she had it at a young age and survived). Since she had no real political power she used her hairstyle as a way to promote vaccination against smallpox and it worked. She was also very interested in the work of Voltaire and Rousseau, and read novels for pleasure. About not having beauty, well, every source that I’ve read (from people who had known and seen her) commented about her beauty. I definitely don’t think she was ugly, certainly had a fair face that was nice to look at, but maybe her dear friend Madame de Polignac stole the title “fairest in the land” (she was said to be the most stunning woman at court). I actually can not find any information as to whether she had the Habsburg lip or not. If she did I think there would have been evidence of it, but there is not. So my guess is that she did not have it, or she just had pouty lips and wasn’t cursed like some in her family. Fun fact: did you know she adopted children before she birthed her own? I can’t recall off the top of my head how many or their names, but she would treat them as her own and loved them a lot. Even in prison with her own children she would seek news about her adopted kids and I think sent them allowances. In the end…she was definitely not a woman without talents. Dieu benisse la reine!